The WWW Wednesday meme is currently hosted by Sam @ Taking on a World of Words and is a great way to do a weekly update on what you’ve been reading and what you have planned. 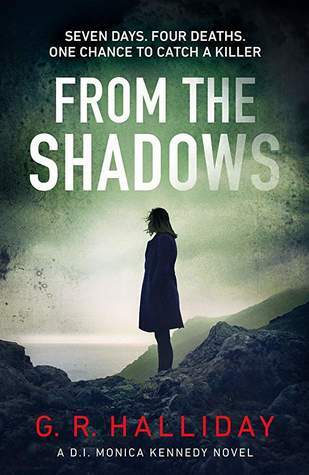 Having literally just finished a book as I’m writing this (on Tuesday evening) I’m not entirely positive what I’ll decide to pick up next but I think it’ll probably be From the Shadows by G.R. Halliday. I won an advance copy of this from Readers First and it’s due for publication soon so I should really get to it. I have previously read the first few chapters and based on them it’s definitely one I’m looking forward to. On audio I’m pretty close to finally finishing The Diviners by Libba Bray which is good as my hold runs out tomorrow. Despite this book taking forever for me to finish it has been a really great listen. The narrator is brilliant and brings the story to life (although I have to admit I have laughed at a couple of bits I probably wasn’t supposed to – usually when she’s singing). I seem to have a bit of an insomnia thing going at the moment, so that combined with keeping an eye on a certain furry four legged monster who’s hurt his leg means I’ve had lots of reading time and have managed to finish four books this week. 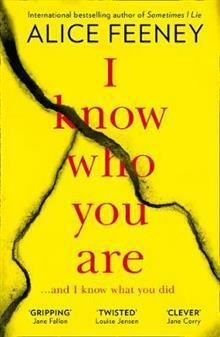 I Know Who You Are by Alice Feeney – I loved the author’s first book Sometimes I Lie so I think maybe expectations were too high for this one. It is good and I found it really addictive reading but didn’t surprise me. 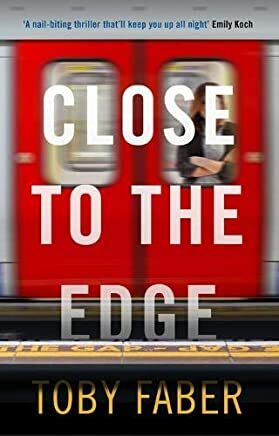 Close to the Edge by Toby Faber – really enjoyed this thriller set around the London Underground and as I’m on the blog tour that’s all I’m saying for now. 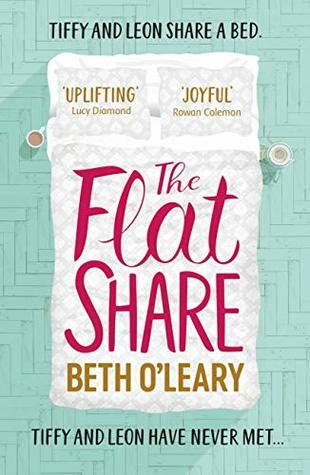 The Flat Share by Beth O’Leary – I LOVE THIS BOOK (and yes I am using shouty capitals – it’s that good). I think this is one that’ll lurk at my bedside for a while as it’s the kind of book I can see myself dipping in to when I need cheering up. A Lady by Midnight by Tessa Dare – The Flat Share left me with a bit of a book hangover so this seemed like a good reading palate cleanser. I do love Tessa Dare’s books, they’re just fun. 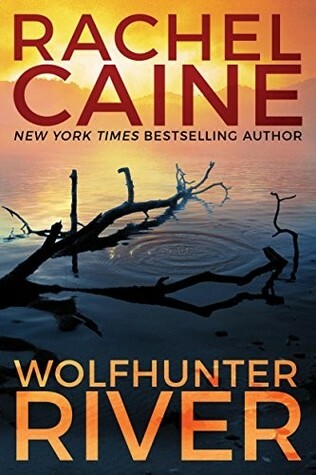 I’ve been planning on starting this for ages but I think I’m finally going to pick up Wolfhunter River by Rachel Caine. I love this series but have been a bit wary about a third book. As The Diviners is going back tomorrow I’m also in need of a new audio so will be listening to Heroes by Stephen Fry as my hold came in. Have you read any of the books on my list this week? Any others you’d recommend? As always please feel free to leave comments and links below. Ooh, I might have to check out the Diviners audio book. I’ve been trying to find something to replace the Firebird series as my audio book series, and that one is on my TBR. I continue to be curious about Stephen Fry’s books on mythology. I was eyeing a copy of Mythos at the bookstore the other day. 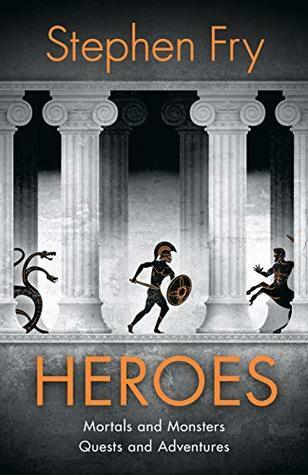 I look forward to reading your thoughts on Heroes. My plan is to read Wolfhunter River next, too! I hope we both love it. Okay, so I’ve been on the fence about reading The Flatshare, but now I’m convinced!! Hi. My name is Ali and I started this blog to share my love of books with the world, or at least the half dozen people who follow my posts. I read all genres and while I have my favourite authors, I also love trying new ones.